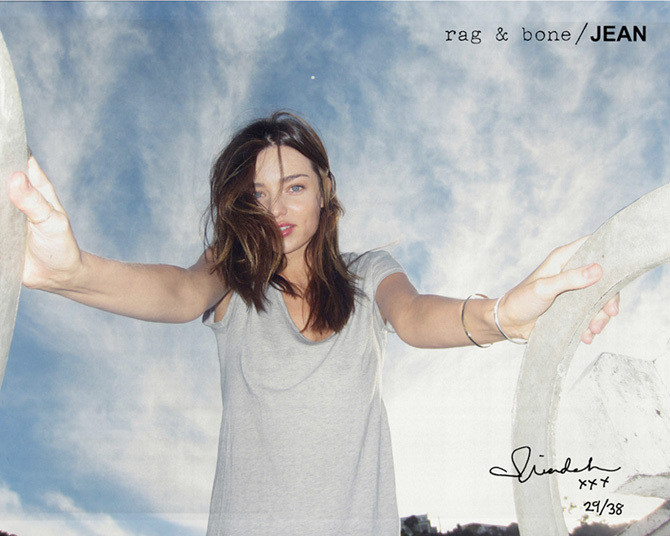 rag & bone has taken a new approach with their latest campaign. A few of their favorite models interpret rag & bone in their own personal way – no hair & make up artists, no stylists, no special lighting etc… “Just a girl and her camera. 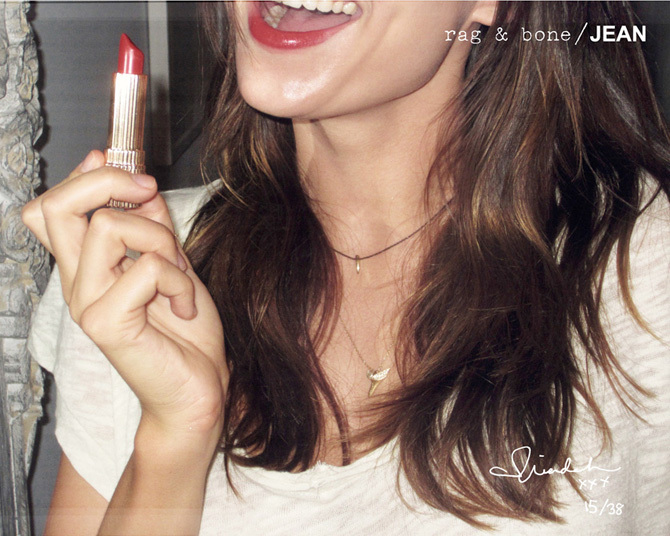 And rag & bone”. This post features the beautiful Miranda Kerr. 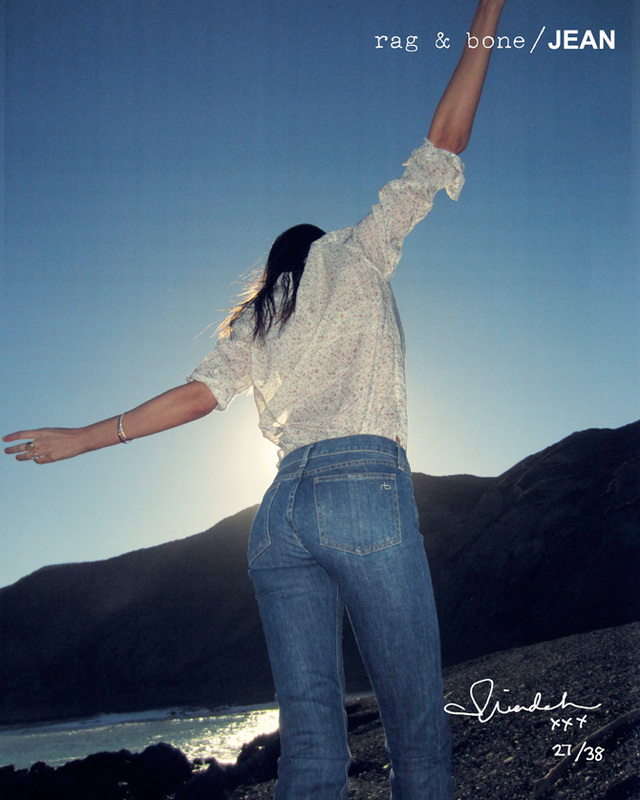 Images were shot in New York & New Zealand by friend, Lily Aldridge, and husband, Orlando Bloom. She wears her favorite – the Skinny in Kensington – with several basic tees among other items. To see the other models in this campaign check out this link. I hope that everyone had a great first week of 2012! !